Farges-en-Septaine is a village and commune some 11 miles (18 kilometres) east of Bourges, and 2 miles (3 kilometres) west of the village of Baugy. The communal cemetery lies on the northern side of the village on the road to Brecy. There is 1 Commonwealth burial of the 1939-1945 war here, north-east of the entrance near the far corner. 11th February 1944, aged 26. Son of John and Rosina McDonald, husband of Daphne Hazel McDonald, of Holland Park, Queensland, Australia. Tempsford, Bedfordshire, England, 1943. 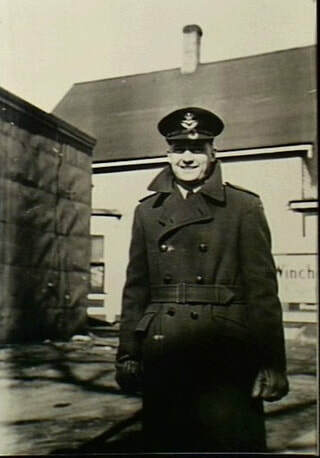 Informal portrait of 414419 Flying Officer (FO) John Walter McDonald, RAAF, captain of an aircraft serving with No. 161 Squadron RAF. FO McDonald was killed in a landing crash in France on 1944-02-11. The squadron's role was to ferry members of the resistance or underground in and out of occupied Europe.